Named after the French word for “barrel,” tonneau watches stand out for their unusual silhouette. Not round and not quite rectangular, tonneau shaped watches became prominent during the Art Deco period and has remained a signature shape for some luxury watch brands. From vintage numbers to modern iterations, have a look at some of our favorite tonneau watches to sport right now. From square and rectangular cases to oval and cushion cases, Cartier is master of shaped watches. In fact, Louis Cartier became interested in shaped watches at the turn of the 20th century and by 1906, Cartier released the brand’s very first tonneau-shaped watch. 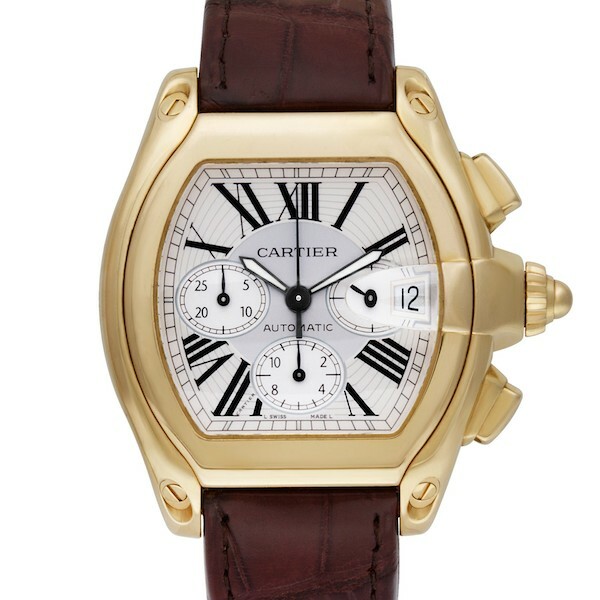 The barrel shape continued to be a favorite for Cartier over the years with several watch collections offering its own take on the silhouette. Inspired by sports cars of the 1950s and 1960s, the Cartier Roadster watch offers a bold take on the traditional tonneau watch. 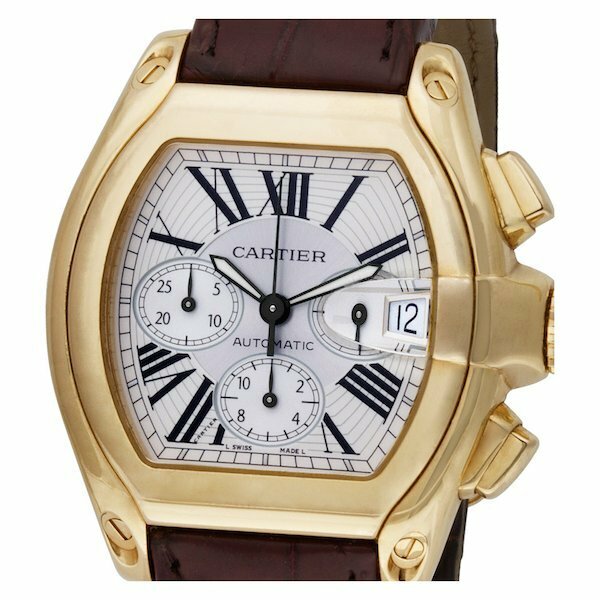 Take for example the 18k yellow gold Cartier Roadster XL Chronograph, which measures 42 x 37.5 mm but wears bigger thanks to the chronograph pushers flanking the winding crown. On top of the case sits a sapphire crystal that includes a uniquely designed magnification lens meant to mimic the style of a car windshield. Beneath that lens is, of course, the date window, along with a trio of registers and the luminous sword-shaped hands. 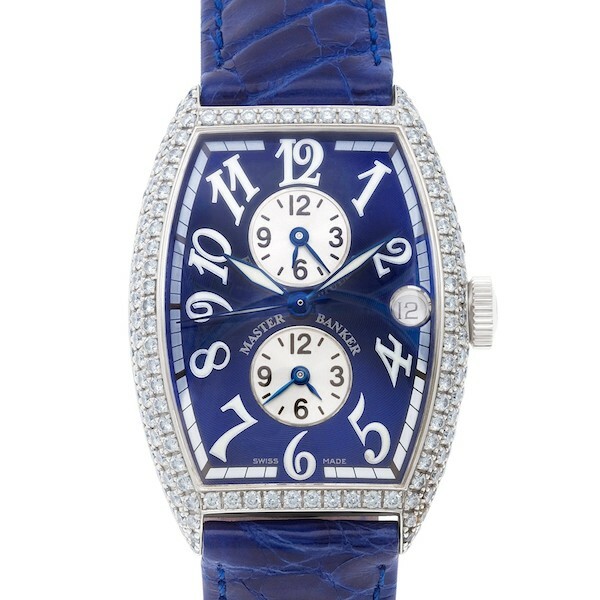 Franck Muller watches have become synonymous with the tonneau shape since the brand’s founding the early 1990s. Starting off with the innovative Cintrée Curvex case and moving onto other collections, fans of tonneau watches will find plenty in Franck Muller’s catalog. One particular model we are loving right now is the Franck Muller Master Banker with a white gold 32 x 38.5 tonneau shaped case embellished with a blanket of diamonds. Contrasting with the white metal and gleaming white diamonds are the bright blue dial and bright blue leather strap. On that dial, we see Franck Muller’s signature oversized whimsical numerals, except for the number “3,” since that’s where the date window sits. However, most impressive is the watches’ ability to indicate three separate time zones via the center hands and the two subdials. This Master Banker watch certainly lives up to the watchmaker’s slogan: Master of Complications. 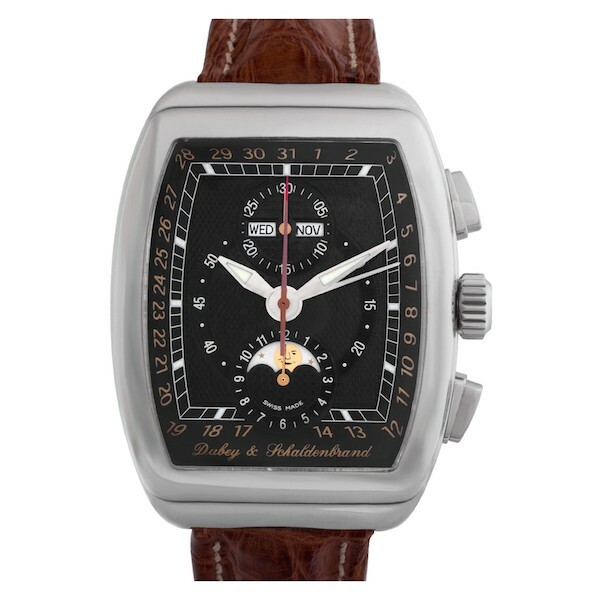 Founded in 1946 by the inventors of ‘the split second chronograph’, Georges Dubey and René Schaldenbrand, the modern iteration of the Dubey & Schaldenbrand company continues to operate out of their headquarters in La Chaux-de-Fonds, Switzerland. One of the watchmaker’s flagship models is the Gran’ Chrono Astro, first introduced in 2002 and instantly recognizable thanks to its tonneau case. The 37.5 x 49 mm steel tonneau case houses a number of complications, such as the day, date, month, moonphase, and chronograph. The black dial is beautifully balanced despite the host of information it provides to the wearer. Flip the watch around and you’ll see the automatic movement, which is sublimely decorated, via the round sapphire window fixed into the tonneau caseback. The next time you’re looking for a luxury watch that’s a little different to the rest, consider tonneau watches. Inspired by vintage timepieces but perfectly suited to modern tastes, this is one style of shaped watch that will always have a place in the luxury watch landscape.